Mild hypoglycemia makes your dog unwilling to move or play. Chihuahuas are small dogs with a long history that stretches back to the Mayan civilization. They are defined by their skinny body, which can make them appear malnourished or sickly. A scrawny torso is a defining trait of the breed, but their lack of fat makes them prone to hypoglycemia. Hypoglycemia is one of the main concerns of new Chihuahua puppy owners, since their young dog's body is very fragile during his first few months. This disorder is not linked to a specific genetic defect, but it is associated with the breed's small size. Chihuahua's are native to hot climates, so their body stores a limited number of fat cells. This helps them stay cool in extreme heat, but it also means their batteries won't keep them operational for very long. When fat cells run out, your dog's body will start pulling sugar directly from his bloodstream, causing all sorts of health problems. Hypoglycemia is a common and serious health concern for young Chihuahuas, but owners of adult dogs should also be on the lookout for warning signs. Young Chihuahuas can display the symptoms of hypoglycemia for simple reasons. Missing meals, even just a few each week, or exercising too much can be enough to deplete your dog's biochemical resources. 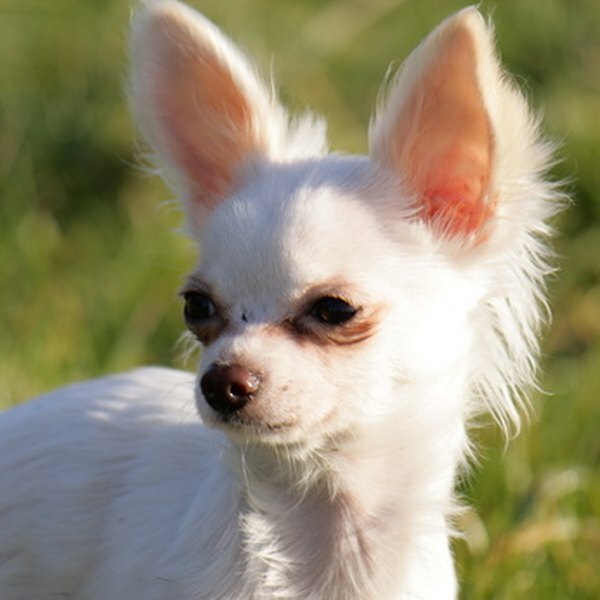 Chihuahuas are more vulnerable to hypoglycemia when they are between 6 and 10 weeks old, before they have built up a functional padding of fat cells, according to Blueboy Chihuahuas. The stress of moving to a new home or meeting new people or pets is enough to suppress a small dog's appetite, which can lead to hypoglycemic conditions very quickly. Symptoms of hypoglycemia emerge progressively, depending on your dog's current blood sugar levels. The nature and magnitude of symptoms depends directly on the severity of the condition. It is very important to keep your eyes on young Chihuahuas until they are at least a few months old. Look for some of the initial indicators of hypoglycemia, including lethargy, nervousness and shivering, for the first few months after you bring a new puppy home. If your dog's blood-sugar levels drop, he will lose control over his body and may display visible muscle spasms or dizziness. These symptoms can be scary, especially in very young dogs, but the condition is very treatable if you get your pet to the vet right away. Mild hypoglycemia can turn into a life-threatening problem for Chihuahuas in a matter of hours. Mixing a few drops of corn syrup into their food to help balance their blood-sugar levels temporarily. During the late stages of hypoglycemia, it is not uncommon for your dog to act erratically or lapse into a coma. Wash your hands and put a few drops of corn syrup on your fingers. Rub them along your dog's gums and tongue to get some sugar into his bloodstream. If he starts to have convulsions, seizures or loses consciousness, then you need to get him to a vet right away.